Come and stay at a lovingly maintained park on the edge of the Black Forest surrounded by idyllic lakes, undulating hills and lush valleys. 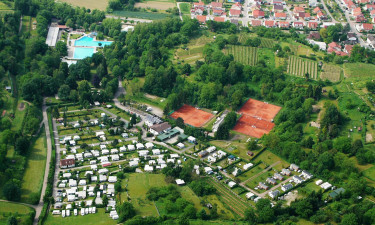 The luxury camping site of Campingplatz Herbolzheim is a wonderful destination for families and nature lovers with a thirst for the outdoors. 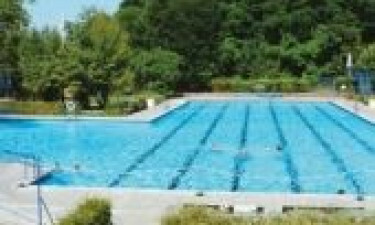 Why choose Campingplatz Herbolzheim Campsite? The roller coasters and other hair-raising attractions at Europa Park will thrill children and teenagers alike. Younger children will adore the petting zoo and animals at Steinwasen Park. The lovely city of Freiburg has a magnificent Old Town. Cathedral Square hosts a brilliant farmer’s market and the buzzing Markthalle is a great spot for lunch. Discover fascinating museums, shops, restaurants and beer gardens by exploring on foot. For a spectacular aerial view of the city, take the Bergwelt Schauinsland cable car. The campsite has a restaurant with dining terrace and a bar. There is a large supermarket within walking distance catering to all your luxury camping needs. The village of Herbolzheim is just 2km away.